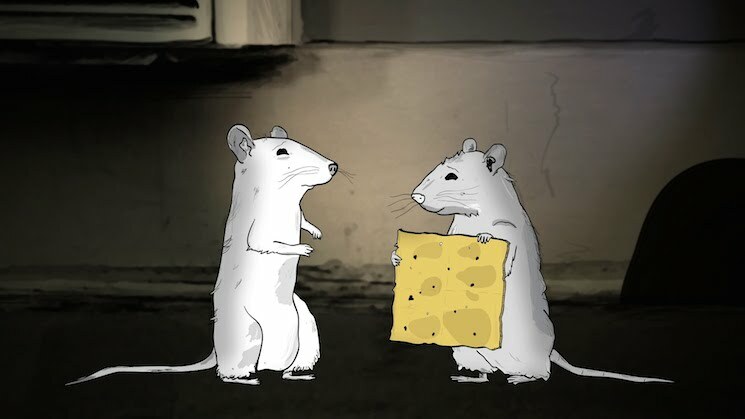 Because they can't seem to go a day without pitching a low-budget movie or landing some big new project, mumblecore powerhouse duo Mark and Jay Duplass have sold a new animated series to HBO. Simply called Animals, the show was created by Phil Matarese and Mike Luciano, with the Duplass bros set to produce. After screening two episodes at Sundance, HBO ordered two seasons along with its worldwide rights. "Jay and I have been excited about bringing the principles of indie film to the TV space, and to have our first real experiment land at a place like HBO for two seasons is beyond what we could have imagined," Mark Duplass said in a statement. The premise of the show sounds eerily similar to that of Creature Comforts as the show explores the minutiae of human interaction through the lives of small animated creatures. As the trailer below indicates, the show features voiceover work from Mark Duplass alongside Katie Aselton, Nick Kroll and Rob Corddry, among others. Animals is set to premiere next year. Thanks to Deadline for the tip.